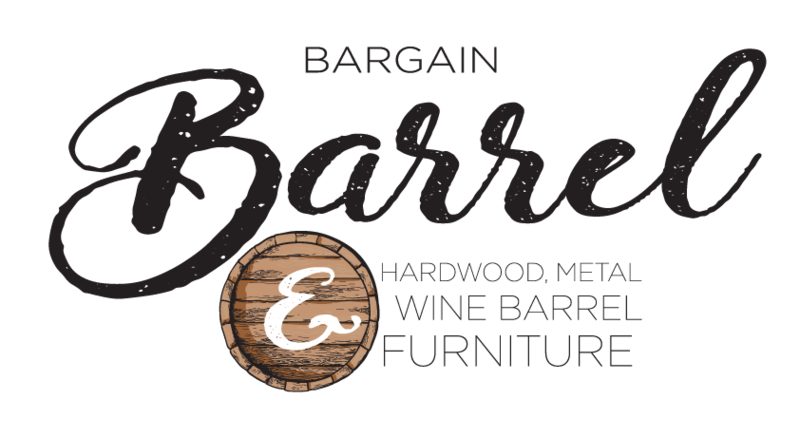 Our signature Barrel Ponds are a great feature in the garden or deck. 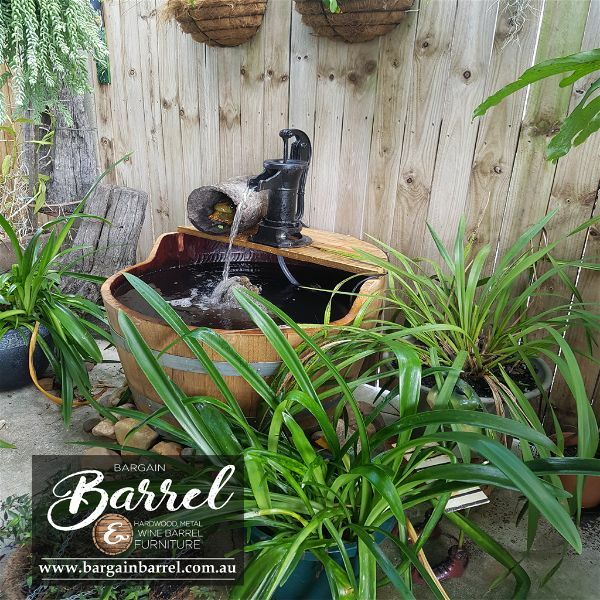 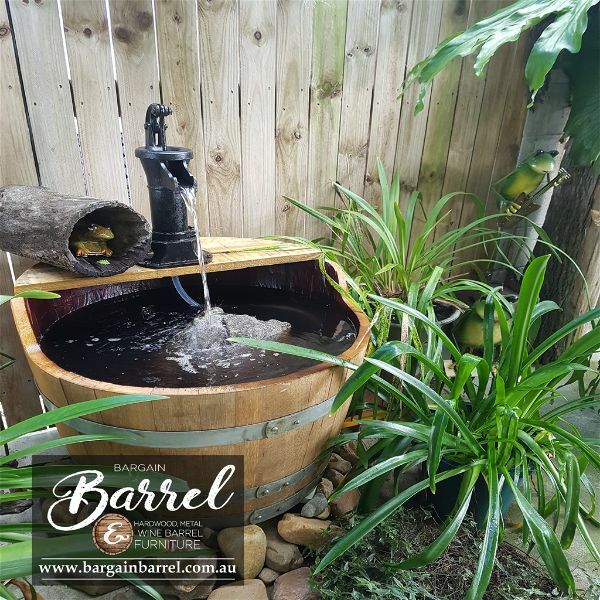 Our Barrel Ponds may take a few hours to swell and hold the water level for reticulating purposes. 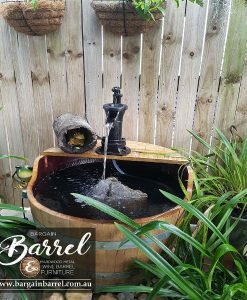 You will need to add water occasionally due to evaporation. 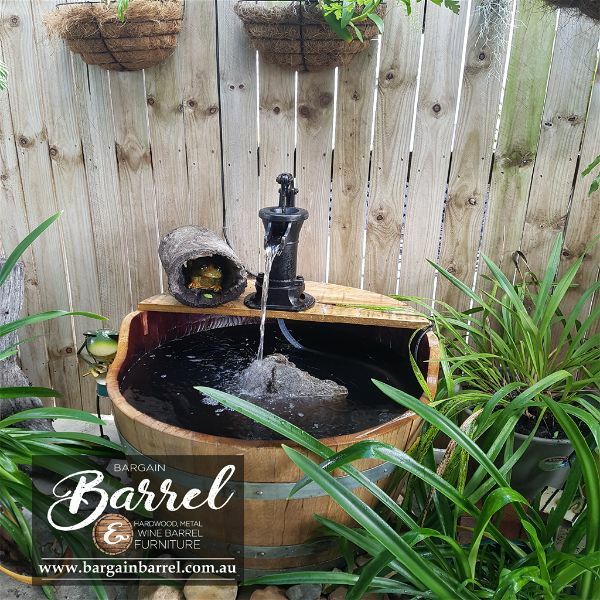 The outside of the barrel is covered with 2 coats of decking oil and all bands have been neatly screwed. 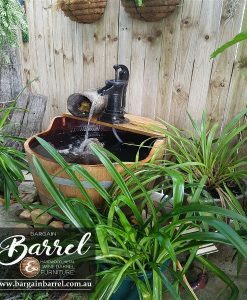 The high-quality cast iron pump supplied will allow water to effectively pass through by the submersible pump connected below. 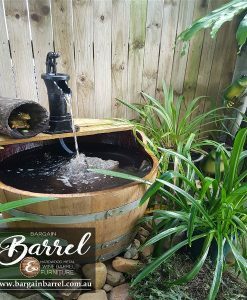 Our Barrel Ponds are full of character and relaxing while listening to the water flow.